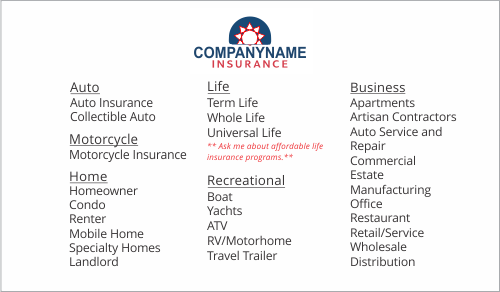 These templates can be used for any variety of insurance companies. 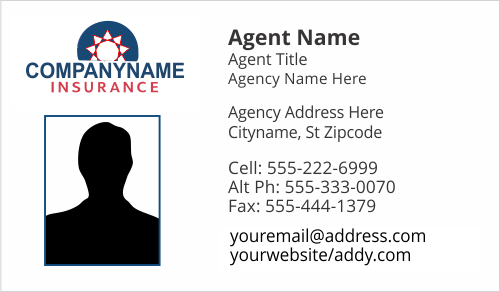 I have a placeholder logo just to give you an idea. 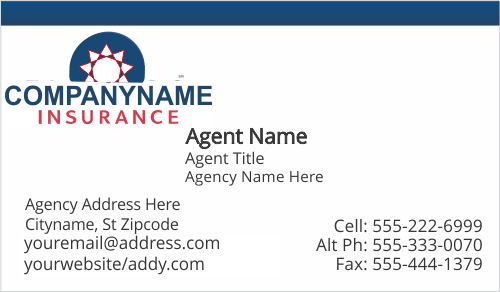 View templates, Complete the form below and we'll send you a mockup shortly with your specific information. 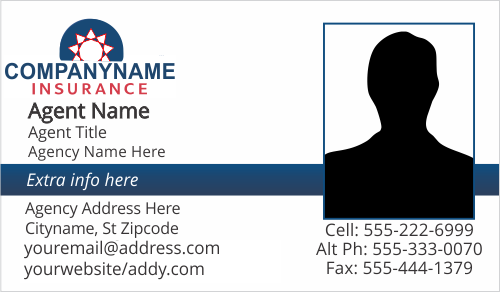 NOTE: If you want your photo on the card we'll respond to your submission where you can then send us your photo. 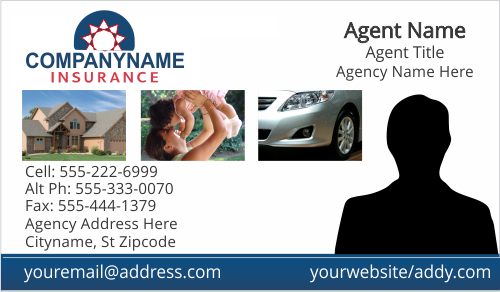 Hello there, I am no longer allowed to advertise and use specific branding on my website from certain insurance companies. 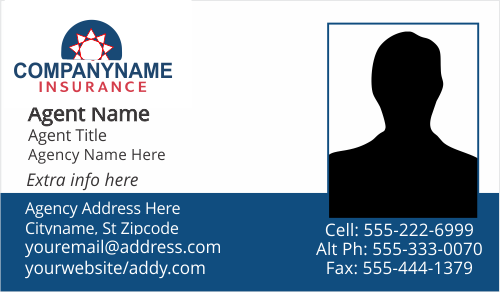 Please feel free to email me. 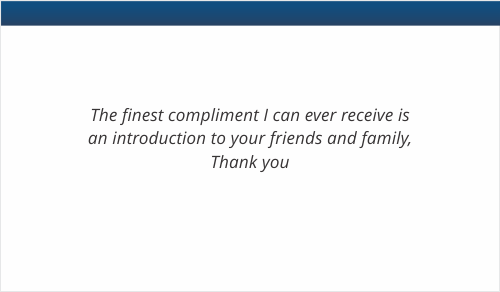 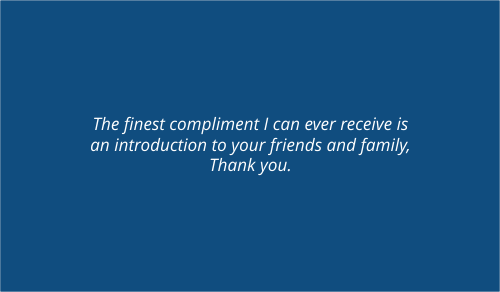 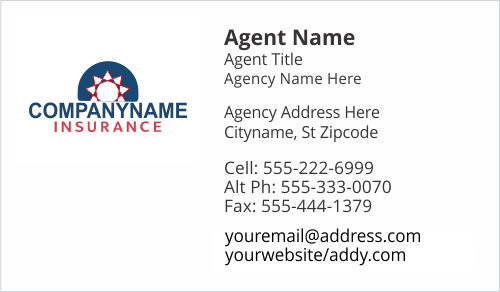 The form below shows what information I need from new clients to create business cards for them. 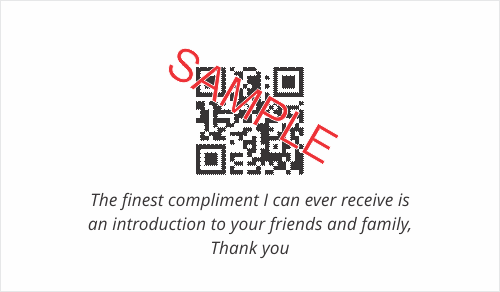 You can simply fill it out or simply email me. 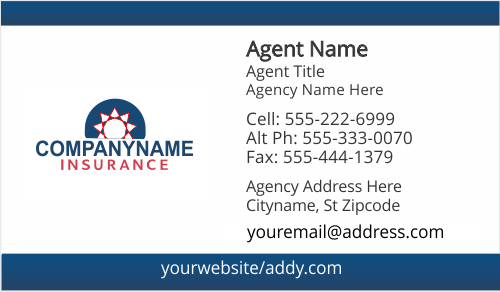 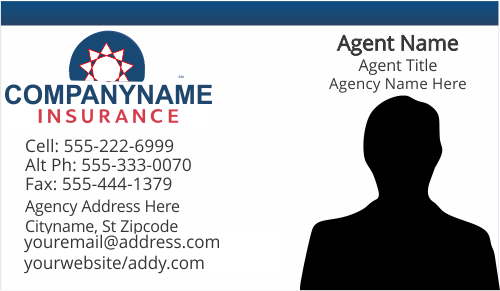 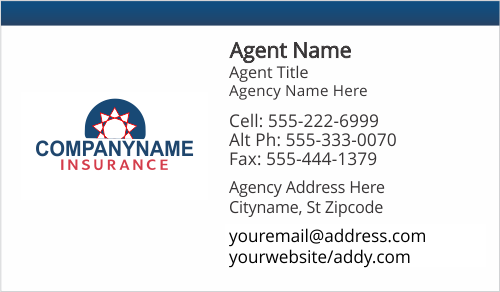 If you are an existing client (agent or new employee being added to a current agency) you can email me with your info and we can use the same card design you have now. 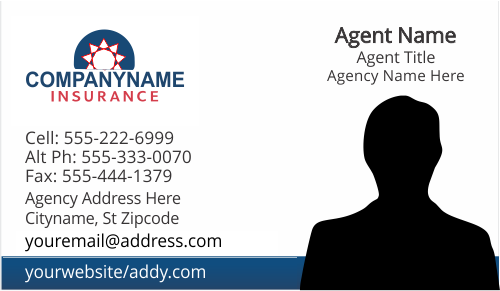 Are you/your agency an existing client?